Today I'm excited to share something really fun and pretty with you. West Elm recently unveiled DIY downloads for the holidays. With four different styles of templates, there will be one (or two!) that will suit your style. 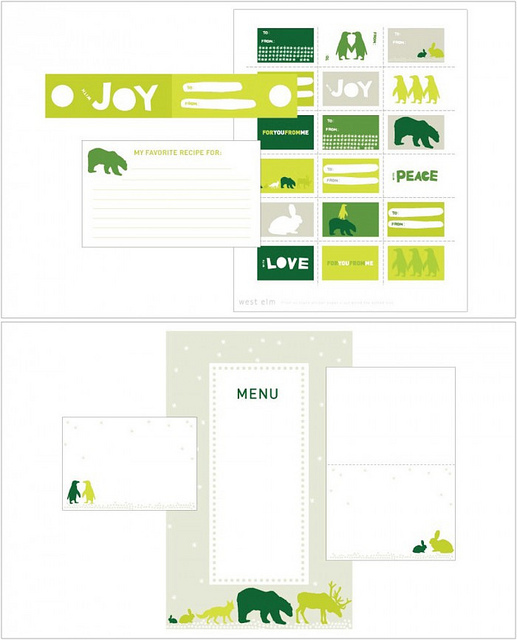 Templates for gift giving and entertaining will make this holiday season a breeze for you. Just download the styles you like the most and print on pretty cardstock. 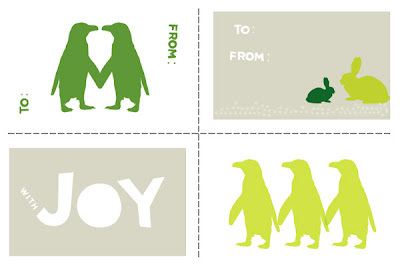 The penguins are so cute and would even be adorable for a bridal shower gift tag. 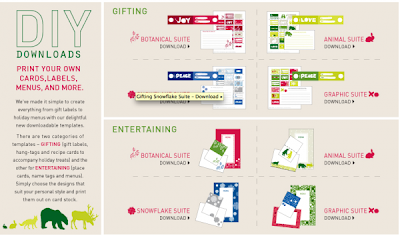 The entertaining suite includes menus, place cards, recipe cards, and more. Not only are these a perfect compliment to your party, the printables are also perfect for DIY gifts. An easy and inexpensive gift idea I love is a collection of recipes. Perfect for a recent graduate or bride, a collection of treasured recipes is a gift that will be used often. You could even personalize the recipe cards and present them with a pretty ribbon! You can find the downloads here. Happy Printing! Let me know how you use these adorable printables. I'd love to see what you do. Love these! I was just thinking I need come creative tags for certain gifts I'm giving this year. These will be perfect! Thank You so much be sure to enter my givaway!! How fun. Thanks for sharing. Love these! I have signed up for their emails... Thanks for sharing!